Having warm traffic coming to your site is what content marketing dreams are made up of. A lot of marketers evangelize paid ads as the fastest way to grow an online business. This is true as paid ads done right are highly effective. But not every one of us has the budget to support a continuous ongoing campaign through Facebook Ads and Google AdWords to generate leads. Thankfully, the current state of online media offers a host of sources which can help generate a ton of traffic and scale our businesses rapidly. Here are 5 free organic traffic sources you can use to grow your online business extremely fast and in the process become an influencer in each of these channels. Simply go to Quora and search for the keywords related to your niche. For example, if your niche is online marketing, just type the term on Quora’s search function. You will be presented with a multitude of questions related to your keyword. Go to each question and answer them. Try to provide the maximum value you can without holding back. Remember the more value you provide upfront, more the reader will be incentivized to read further on what you have to say. After doing this, add links to your blog which further expand or give a more detailed answer to the question. Again, put only appropriate links which add further value to your answer. If you do these two things correctly, you will get a ton of hot traffic on your site, keen to get the value you are providing. Have a lead capture form in place to attract this audience and turn them into leads for your business. It’s no secret by now that LinkedIn pushes content out more heavily than Facebook. The reason is simple – they are hungry, for great content. Mastering your LinkedIn game right now will result in a lot of traffic coming your way. This is because whenever a person in your network will like the post, it will be displayed to his or her connections, thus creating a viral effect. Entrepreneurs who are taking advantage of it are getting an average 5k to 10k views on their posts. Make use of it before it gets saturated. Take a part of your blog post and publish it on LinkedIn. Put a Call-To-Action in the end, saying “Click to continue reading” which will direct readers to your website. It can result in massive vetted traffic. Reddit is the place to be for finding internet gold. It is divided into sections called Subreddits, with each Subreddit dedicated to a particular niche. So, simply go to Reddit and search for your niche, then join the Subreddits dedicated to that niche. Now if not being spammy holds true for all the sources here, it is 10 TIMES more applicable when it comes to Reddit. Redditors are notoriously famous for having zero tolerance for spam and promotional posts. To avoid getting shadow banned, give as much value as you can. Share other people’s content apart from your own, do not hold back when sharing yours and where necessary provide the links for further reading. A perfect way to do this is by getting some karma points (around 50+) before posting anything remotely promotional. Karma happens organically when you constantly give value to discussions in the Reddit community. This way the community knows you are an active user who adds value and not a salesman who dumps content and leaves. The easiest way to ensure that your content will be read is through Medium. It has a well-established audience base. You can leverage your content there to get more views from relevant audiences by using its tag features which are great for SEO purposes. Also, all major publications are active on medium, so you have a higher chance of connecting with them. To further add the benefits, your followers on Medium are notified every time you publish a post. You can also connect your existing Twitter and Facebook account to boost your following from the first day itself. A great way to get traffic to your site is by putting 2/3rd of your post on Medium and adding a Call-To-Action at the end of it to lure the warm traffic to your blog. FB groups are a great organic way to get to your target audience and get known in your niche circles fast. Like it or not, FB is the most used social media channel and that is where people hang out the most. Use the FB group search function and type in the keywords related to your industry. Vet the groups you want to join by seeing if they ask entry questions before they allow you to join. This is a great way to tell if the group is spam protected and has active members or not. After being allowed to join, read the group rules carefully and start engaging with other people’s posts by commenting and adding value to the discussion. The idea is to get seen as a group regular so that the community adopts you as one of their own. After doing this for a week or two, start posting valuable content in the group BUT please DO NOT post links in the group. Due to the FB algorithm changes, most self-respecting groups have a strict no link policy to avoid spam and affiliate links. Respect it and simply post valuable content. How will this benefit you in getting website traffic you ask? Well, if you keep posting valuable content, interested people will visit your profile to see who you are. Here is where the magic will happen. Make sure you have your website link and a short description of it on your bio and if possible in your cover photo. More often than not, the visitors will click through to your site and be led to the funnel where you can capture them through a sign-up form. Yes, the funnel is a little longer compared to the other sources listed here, but it is a great opportunity to get leads in your industry from where they are most active at – Zuckerberg’s lair. Here is a little secret technique which you can use to ensure you get a viral boost in all the sources I mentioned. Simply establish a telegram group of fellow content marketers in your niche, and every time new content goes out from you on any of these channels, ask them to engage with it through likes, comments, etc. Doing this will tell the platform algorithm that the content you posted is driving instant engagement and hence will be pushed more. Abhik helps entrepreneurs shorten their path to online growth with conversion marketing. He is a leading conversion marketing expert and online marketing thought leader. As CEO of Brand Bridge Solutions, an online marketing agency, Abhik’s content has been featured in mainstream media outlets like Inc Magazine, Business Insider, Inc ASEAN, YourStory, and Influencive among others. 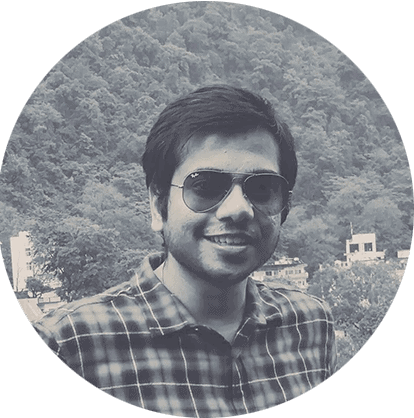 Abhik is the Founder of The Starting Idea, a business growth magazine focused on giving fast-paced actionable marketing strategies to the modern day entrepreneur. He is also the founder of Product Know, an exclusive library of business software and resources. He has recently authored the book “The Growth Toolbox” covering 210+ tools to grow every aspect of a modern day business. Get it for FREE here. © Copyright 2017-2019 The Starting Idea. All rights reserved. | Designed by Brand Bridge Solutions.